A possible indicator that the advertising industry is finally emerging from the recession is the fact that coupon volume fell substantially in 2011 following a few years of heavy coupon promotional strategies. MediaPost.com reported on what this may mean for the future of consumer purchasing. 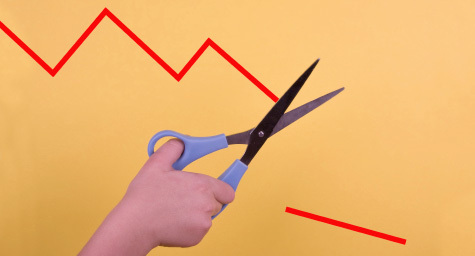 According to WPP’s Kantar Media unit, this recent decline follows two consecutive years of increases, including a 7.2% rise in 2010 and an 8.0% jump in 2009. The practice of focusing budgets on consumer price promotions, such as coupons, is often seen during periods of economic trouble. The reversal of this coupon trend, in conjunction with the lower value of overall coupons offered in 2011, is being viewed as a strong sign that brands are regaining their confidence in consumer purchasing behavior. Despite the decrease in both the volume and value of coupons in 2011, there was a 30 percent increase in the number of retailer promotion pages featuring freestanding insert coupons. Kantar explains this anomaly as the increasing occurrence of manufacturers and retailers using these freestanding inserts to influence shopping behavior through competitive promotions, creative advertising, and promotion alignment. To discover marketing strategies that can stimulate your business, increase awareness, and drive sales, contact MDG Advertising today at 561-338-7797 or visit mdgadvertising.com. MDG Advertising, a full-service Florida marketing agency with offices in Boca Raton and New York, NY, specializes in developing targeted Internet marketing solutions, exceptional creative executions and solid branding and media buying strategies that give clients a competitive advantage. Our core capabilities include branding, digital marketing, media planning and buying, TV and radio advertising, customer relationship management,Web design and development, email marketing, social media marketing, and SEO. View MDG Advertising’s creative marketing portfolio.